This Looney Tunes game sends Daffy Duck the Wizard in search of the ultimate magic power of Celestia. 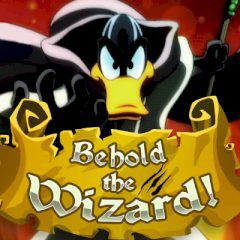 Daffy goes on a flight of fantasy where he dreams of wielding incredible magical power on a quest to overcome tremendous foes, including the monstrous Garlon. Games Similar Behold the Wizard!